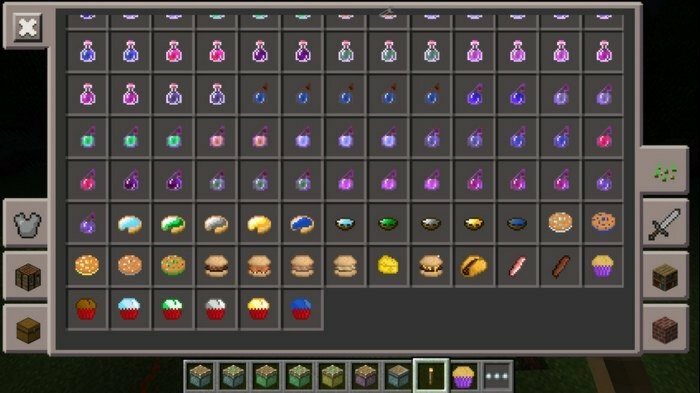 This mod adds a veriety of new food, that you can cook yourself for a meal in Minecraft PE. They will restore random amount of hearts but will be very delicious - at last you can have different breakfast and supper. The total amount of new dishes added by mod will reach 36 pieces. 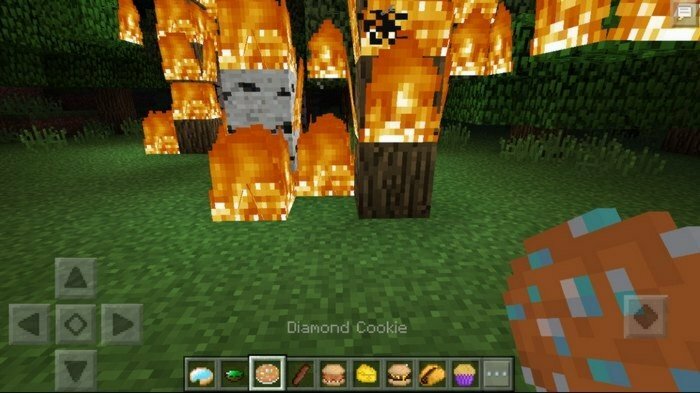 Feel the unrepeatable taste of diamond cookie and pie from the food mod.